Let us post our Choutari and other ELT discussions on blog form, because this platform will make our interaction globally accessible and help us join the global ELT professional community as well. Below are some quick comments on the article attached on Nelta Mail: “Implementing ELT Innovations: A Needs Analysis Framework” by Waters and Vilches. In case you didn’t get to read that article in full, these brief remarks should help you post a response here. One great point raised by Waters and Vilches article is that of giving teachers the sense of ownership in implementing any curricular innovation: “… the trainers’ role is not simply to ‘teach’ the content of the innovation, but to maximize the potential for ownership of the innovation by the teachers” (139). When teachers are given training in a new approach or methods, it is extremely important to make them feel that the method/approach benefits them, makes sense to them, and motivates them to take the new challenges involved. Teachers ultimately implement the innovation at the level of the classroom, so if they don’t feel a sense of ownership, and therefore satisfaction, the new pedagogy will remain an idea, an obligation, or a misunderstood something. Another important issue the article considers is the need to take into account not only the interest of teachers who implement the innovation, or the administration that makes the innovation possible on a larger scale, but also students and a whole spectrum of stakeholders in the process of making the innovation in curriculum and pedagogy. A third point worth our discussion in this article is that of the need for educating teachers about the rationale for the innovation, and not just train them with new skills or content: “Any attempt to change the curriculum—whether indirectly through changes in teaching materials, for example, or more directly, through changes in teaching methods—implies a need for teacher learning, i.e. opportunities for teachers to learn about the rationale for the new form of teaching, to critically evaluate, and understand how to get the best out of it” (137). The Choutari team looks at discussions that we are having on NELTA mail as motivated by that particular need to discuss ELT issues at the conceptual level. But at the same time, we urge readers/contributors to relate the general/theoretical readings and posts to practical classroom teaching as much as possible because what we all want is a balance of concept and practice. Based on the article, let us extend the great discussion on the issue of Needs Analysis and Teacher Training raised by Kate’s initial call for feedback and the following series of posts. The issue of training and innovation in ELT in general, or that of how to make new ideas and approaches to ELT productive in the classroom as well as relevant to our local society in particular, is potentially inexhaustible. We certainly haven’t had enough discussion on this subject, and we hope to hear more from you. Finally, here is one specific issue that has come up in our discussion since last month but hasn’t been followed up very much. 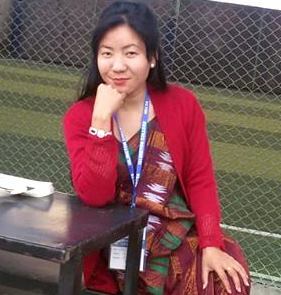 On the issue of teaching basic sounds to beginners, Nepalese ELT community obviously needs to think in terms of thorough innovation: there is a need to make a paradigm shift from teaching letter names to teaching sounds at the same time or subsequently, from teaching words starting with letters to teaching words that represent sounds, and from teaching only pronunciation of words to enabling students to “hear” the unique sounds and then produce them with the correct (approximate) vocal features. Specifically, this would mean something like teaching a beginner not the “A for ‘e-pal’…” but A-æ, as in “apple”; A-a:, as in “arm”; A-Ə, as in “Anil”; B-b, as in “boy”; etc). The innovation, to connect this problem with the issue in the article, should start by familiarizing teachers with the concept that English letters DO (most often) correspond to particular sounds, within the sound system of the language (against the myth that they do not, or rarely do so). The Waters and Vilches article makes that great point in its conceptual framework of needs analysis that includes both horizontal and vertical layers of issues to be addressed by any training or innovation project in education. what a song in a different language can sounds like!! (you will see either a comment box or link below)! Great post! The arguments you have put forward and the synthesis of the article you have prepared is incredibly helpful to the interested readers. In order for an innovation in programs in ELT, I now know that different factors play a role: the teachers, the managers, the students, etc. The second issue of English sound teaching is also great. I completely agree with you that we need to teach sounds in order to develop good communication skills in the learners. The English they speak needs to be comprehensible to other English speakers. Because you were talking two things- innovation in ELT programs and teaching English sounds– I would have loved to read two different postings because they deal with two different issues. It is noteworthy that the article makes an excellent effort to lay prominence on bottom up approach of curriculum development, rather than the top down one that is by and large practiced in many countries including ours. It is for sure that unless the potential innovation users are made acquainted with the underlying principles behind the innovation, the innovation is bound to appear pretty alien to them during implementation and they in turn are going to be reluctant to take the ownership of the innovations. Consequently, the innovation is not going to bring forth what it is expected to. Further, the article is extremely down-to –earth in that it advocates for establishing the sense of ownership among the innovation users involving them in consultations, modifications, feedback etc. This is largely an attempt to make ELT innovation and implementation all-encompassing as the innovation is not something handed down by the top management but all the stakeholders are involved in the development of it from the beginning through the end. This follows the democratic way of curriculum development. This way the stakeholders can have a sense of belongingness towards the innovation. Further, the proposal of four levels of familiarization, socialization, application and integration seem very captivating in that the end users get enough opportunities to get involved in the development of curriculum at both the strata i.e. foundation building and potential realizing. This of course facilitates in capitalizing the innovation in the end users. I appreciate the idea of teacher learning and trainer learning needs and ELT manager learning needs in order to achieve the desired outcomes. Nevertheless, the thing that does not induce me at all is the amalgamation of two opposing approaches to ELT curriculum innovation. I think this is what most innovation users would refuse to accept. As my insight and experience says everyone including teachers and students are guided by definite philosophies and principles (as I am) and they bring into play those ones in teaching learning activities. Therefore, hybridizing the philosophies would neither make any sense to the teachers nor to the students, I believe. Pattern practice, error correction etc. seem dreadfully irrational if we are aiming at meaning. What I realize here at this level is foundation building needs with regard to selection of stuffs to be incorporated in the innovation are not in any way going to pave the way for potential realizing needs. Assimilating pattern practice and problem solving activities sequentially crash with my understanding and principles of teaching. Neither do I believe, as the authors suggest, confidence comes from the knowledge of language form and ‘secure classroom environment’ nor I am of the opinion that they are indispensable at all in order to communicate meanings. We have witnessed lots of instances where secure classroom environment has impeded the process of learning and communication. It is highly paradoxical that on the one hand the authors accept that ‘there is an equal need for the classroom environment to provide scope for individual creativity by learners and opportunities for them to manipulate language meaningfully’ and on the other, they advocate for secure classroom environment and the knowledge of language form. I do not see any reasonable ground in making a claim that ‘a sound approach to ELT innovation process must be based on attempting to integrate both levels of needs’ in case of selection of items. The PELT project, I think, deliberately seems to have ignored the fact that ELT paradigm has journeyed far beyond that. I do accept that it was the result of consensus reached between the PELT project and beneficiaries but at the same time we must not ignore the leap that ELT paradigm has taken around globe and the current ELT trends. I wonder if PELT project will make any further headway. I doubt if this kind of project is going to be compatible with the Nepalese scenario either. I just want to make a quick comment on the approaches of implementing ELT innovations especially in underresourced contexts like ours . Most of the ELTcians and Applied Linguists have agreed that innovations may also be ‘face threatening’ if they are imposed without analysing the ground reality. In this context, I think we need to be much aware about the ‘phenomenology’ in that ground reality is valued rather than policy or innovations that come from the top. In this regard, I think the three parameters – particularity, practicality and possibility – of the postmethod pedagogy(Kumaravadivelu, 2001) is relevant to mention here to supplement the reading in the blog and comments from Shyam, Bal and Sajan. This implies that the suitability of language pedagogy or innovations should be assessed in relation to local realities which include broader sociocultural context, role and relationship between teacher and students, school environment, availability resources and so on. In this connection, we can argue that any innovations (may be theory, method, technique etc.) should be judged from practical point of view. A theoretically sound innovative ideas may not be practical in our context. I am suggesting which method is practical and which is not but just providing a metaphor for understading how innovtions work in a local context. Finally, possibility is concerned with “participants’ experience which draws ideas not only from the classroom episodes but also from border social, political and economic environment in which they grew up” (Kumaravadivelu, 2001: 542). The underlying assumption behind this parameter is that any innovation should empower learners and work with the experiences of people in a pedagogic setting. Furthermore, by analysing the role of pedagogy in relation to power and social inequality, it also provides critical input to redefine the policy, curriculum and textbooks. By saying this, I would like to conclude that just for the sake of innovation, uncritical adoption of methods or techniques or even policy does not cater the desired outcomes of pedagoy. This implies that we need to have local reality as a frame in our mind and see the practicality and possibility of implementing innovation in our classroom which really helps students learn. Granting flexibility at teachers’ creativity in the four walls of education is one important aspect that has been overlooked. If you have that extra space for innovation by teachers, it increases productivity. Michael Fullan, a leading scholar in the field of educational innovation, talks about various models of educational innovation- top-down, bottom-up, or mixed models…and provides various ways of ‘managing’ educational innovations. His works particularly deal with teacher development, educational innovations, adapting and managing educational changes, curriculum reform, and so on. You might find his website informative: http://www.michaelfullan.ca/.